- A Mystery Challenge: Elephants are cool. Create an Elephant creature card. Mystery Challenge 3: Create a green Cat creature card that fits into a specific set. It's a cheetah from Hour of Devastation set, where the citizens of Naktamun abandon the destroyed city and travel to the deserts of Amonkhet. @jpastor - 4th Mystery Box for me, please. - A Master's Key: This guarantees a prize in your next mystery box. 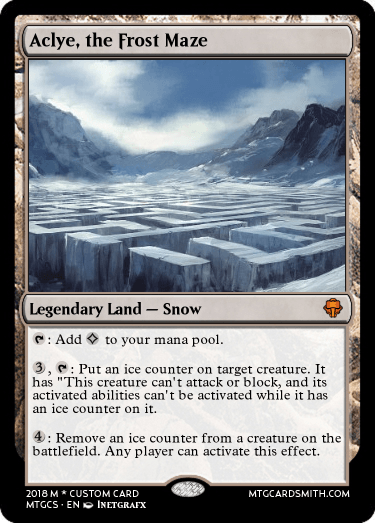 - A Mystery Challenge: Create a rare or mythic Efreet creature card. 01: Favorites: One favorite of my choice. 02: Favorites: Two favorites of my choice. 04: Favorites: Four favorites of my choice. 13: Challenge Pick: Submit any newly created card within 24 hours. The next cardsmith's mystery challenge will be inspired by your card. 22: Favorites: One month of faves. 48: Favorites: 3 favorites of my choice + 2 of your choice. 59: Favorites: One set of favorites. 73: Master's Key: Guarantees a prize in your next mystery box. Use my Cathedral of Rear card for inspiration for the next challenge. - Item 53: Exile a cardsmith and all his or her entries from this deadline. He or she cant open boxes until the next deadline. - Favorites: 2 of my choice + 2 of your choice. - A Mystery Challenge: Create a card with a stream in the artwork. @jpastor Can i have another box when you have the chance? 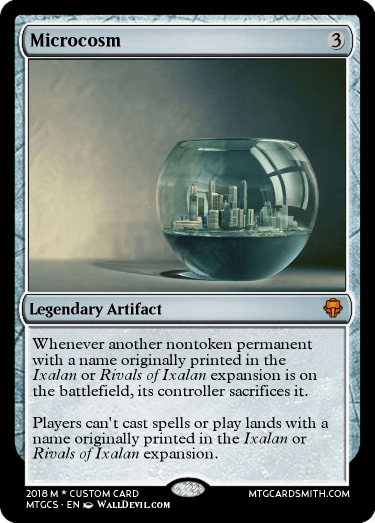 Land that adds only one type of Mana. New box? :D this is so much fun! Ey baws, how can I get one? @jpastor Another one my good sir! I'll remove @SpiritDragon from making anymore cards if that's okay. Challenge: Elephants are cool. Create an Elephant creature card. Edit: I noticed a small wording error when I first submitted the card. I immediately corrected it and re-posted it. 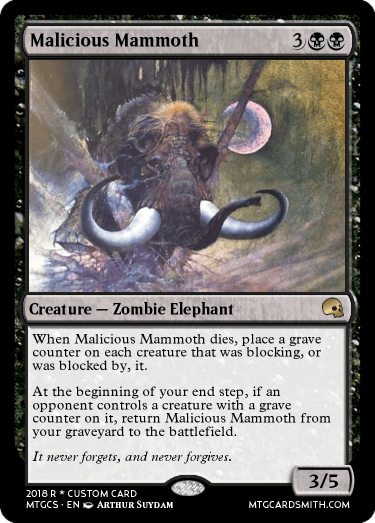 Literally just changed "...from the graveyard..." to "...from your graveyard..."
What's cooler then an Elephants, Zombie Elephants (especially if you play pauper). What's cooler then Zombie Elephants, Zombie Elephants with a built it revival effect. I'd like another box please. - A Mystery Challenge: Create a black Human Rogue creature card. - A Tactical Nuke: Destroy all other entries submitted for this deadline. 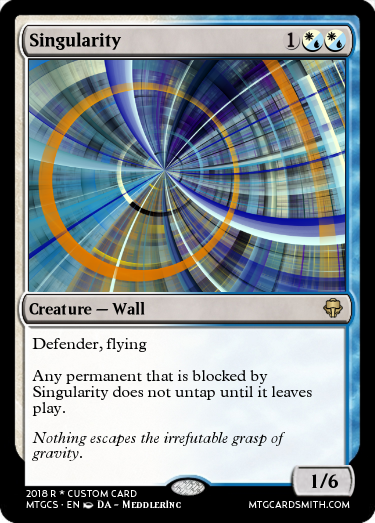 - A Mystery Challenge: Create a Wall creature card with flying. - Favorites: One month of faves. - A Mystery Challenge: Create a monger creature card. - A Mystery Challenge: Create a mutant creature card. - A Mystery Challenge: Create a mono-red Angel creature card. - A Mystery Challenge: Create an Aura card that can enchant an enchantment. - A Challenge Token: After the winner for this deadline has been picked, you will submit a card for this mystery box's challenge. Your entry will go head to head in a 1vs1 with the winner's winning card. The better of the two cards wins the deadline. You may open a new box now. - Challenge Token Mystery Challenge: Create a creature card with "Phyrexian" in its name. - @pakashara elected to use Item 53 to exile cardsmith @SpiritDragon from this deadline. SpiritDragon's entries will not be judged and SpiritDragon cannot open a new box until the next deadline. 36: Tactical Nuke: Destroys all other entries in the current deadline..
53: Item 53: Exiles another cardsmith and his or her entries from current deadline. 74: Challenge Token: You 1 vs 1 the winning card. Winner takes throne. Am I still allowed to submit the stream card and have it not be judged, or not? Technically yes. @SpiritDragon but your entries wont be judged this deadline. Can I have another box? Okay! Wall creature card with flying coming up! - A Mystery Challenge: Create a noncreature card with "Goblin" in its name. @bnew07 already opened a box for you. It's on his page. @Baron-777 elected to use Item 53 to exile @JoeMoose from this deadline because he nuked everyone. JoeMoose cant open new boxes this deadline and JoeMoose's entries will not be judged this deadline. - Any entries beyond this post will be considered for the next deadline. - @JoeMoose and @SpiritDragon are no longer exiled. @jpastor Do I submit a Mono red angel still or do I get a new box. If it is a new box then I would like one please!